You can buy these CD. If you want please tell me the title of CD and your post address from mail. Also at my "Band Camp" Site you can buy my digital track. Please check it up! 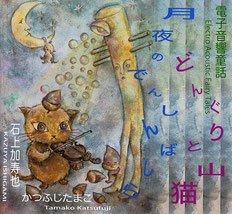 These works are "Electro Acoustic Fairy Tales" with 'Sound' and 'Recitation' express the stories "The Acorns & Wildcat" and "The Telegraph Piles on a Moonlit Night" written by Japanese famous author Kenji Miyazawa. 'Sound' are not the back ground music of the story, they come together with 'Words' and take listeners to his fantastic world. I desire some pieces of these stories at last will become your precious treasures. 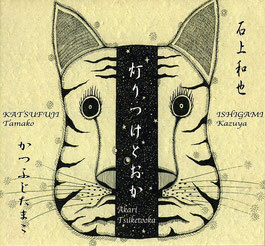 石上和也「消灯」　KAZUYA ISHIGAMI "Light Out"
かつふじたまこ「ただそれだけのこと」　Tamako Katsufuji "That is All"